The teen's first car is a milestone event, and it comes with added responsibilities as well as more freedom. Safety is the foremost concern and selecting a vehicle with essential features can help. For example, electronic stability control helps keep traction on the roadway surface in wet, icy, or slippery conditions. Many residents know that small, high-powered vehicles attract attention from young drivers. 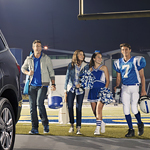 Experts agree that medium powered, mid-size cars are best for a teen's first car. Safety and handling are particularly important for new drivers as they learn to drive defensively and safely. At Blue Knob Auto Sales, we stand ready to provide safety information on new and used vehicles that make excellent selections for a teen's first car. We invite you to take a test drive and get a first-hand experience with the vehicle before you buy. Please call for an appointment or stop by today.